Pics from the girls netball team evening coasteering still coming in. 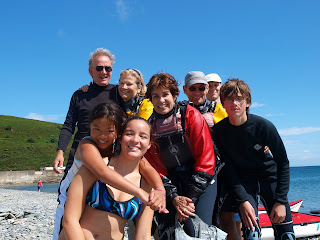 with a family over visiting the Island for a week. 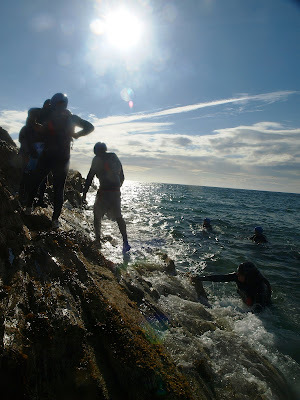 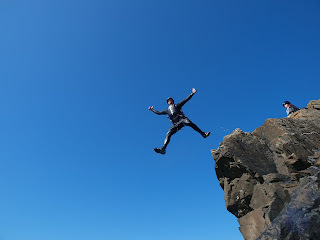 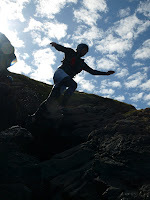 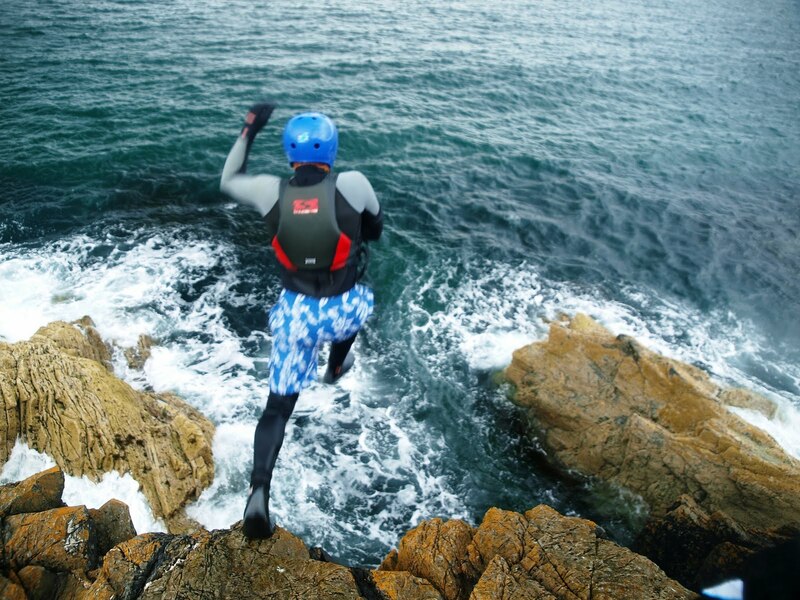 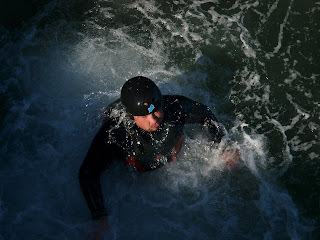 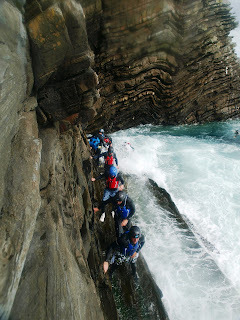 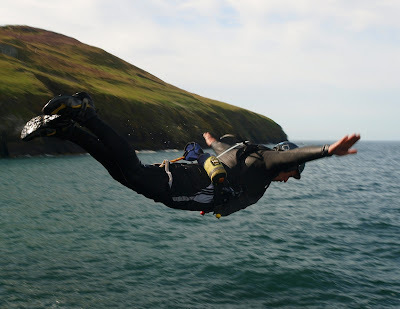 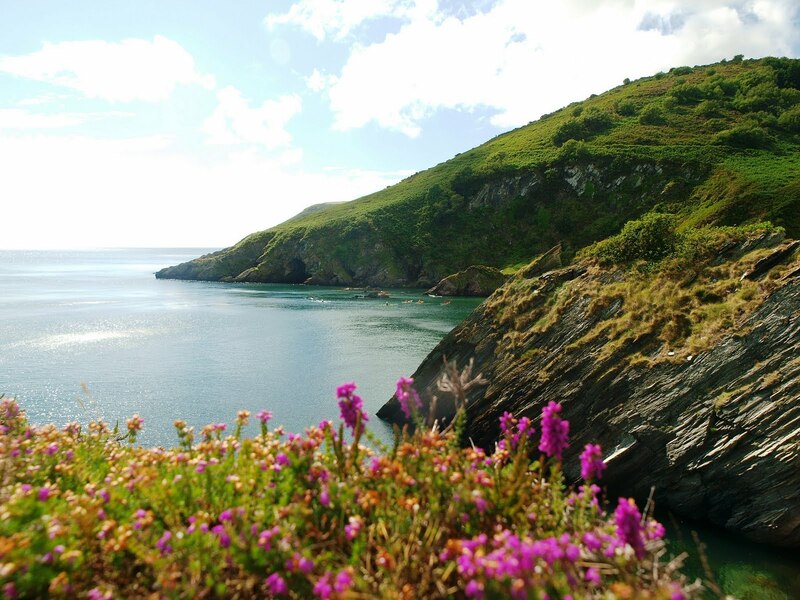 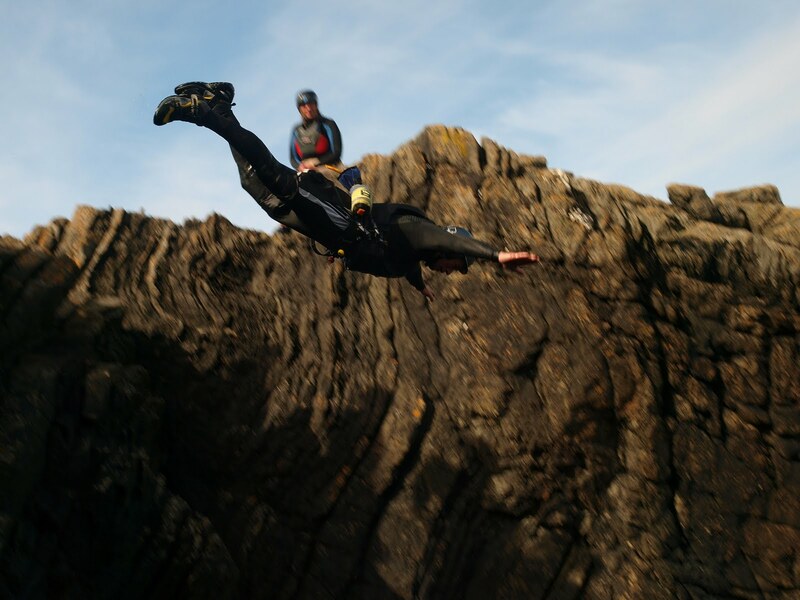 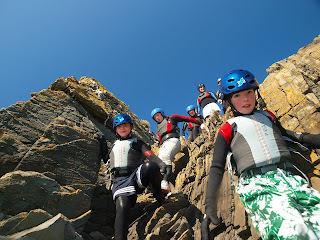 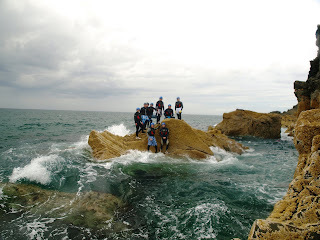 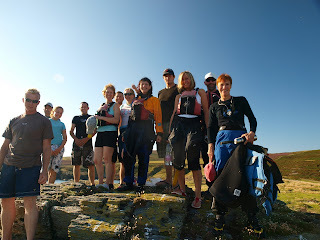 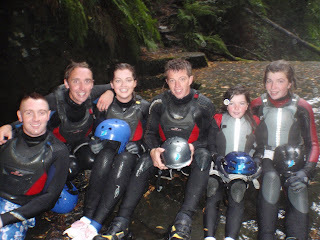 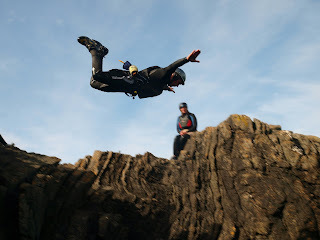 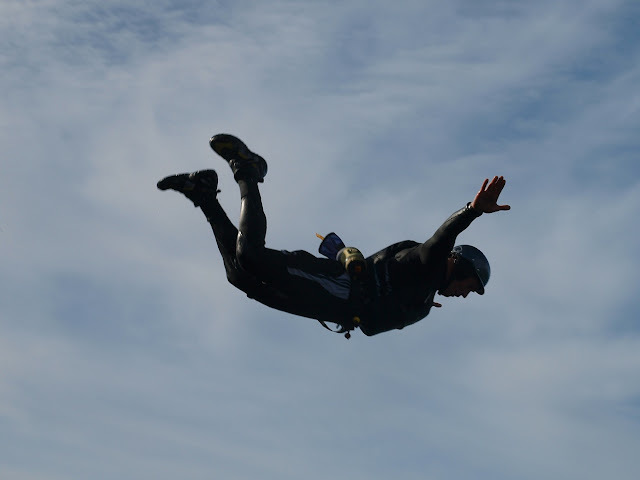 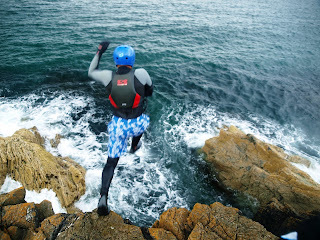 See you all for Coasteering tomorrow morning! 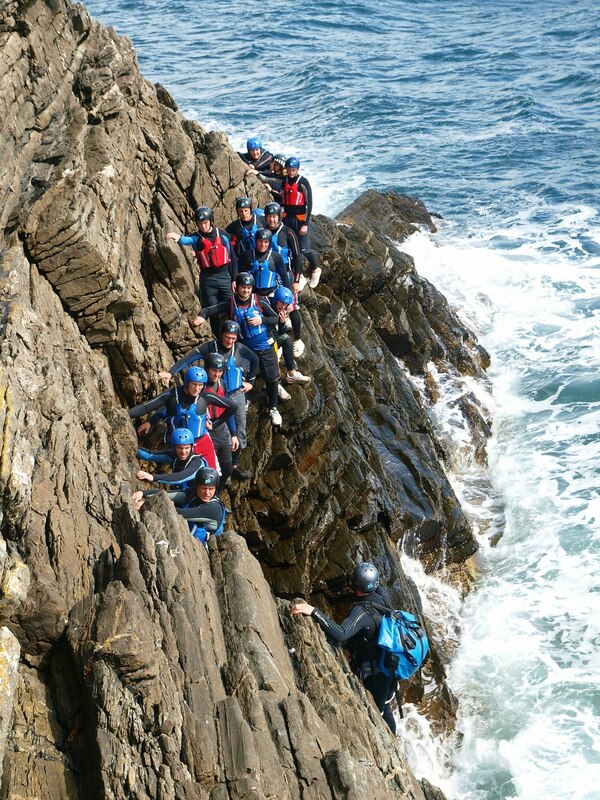 Gorge Scrambling on Friday was a laugh, with plenty of little challenges and water slides. 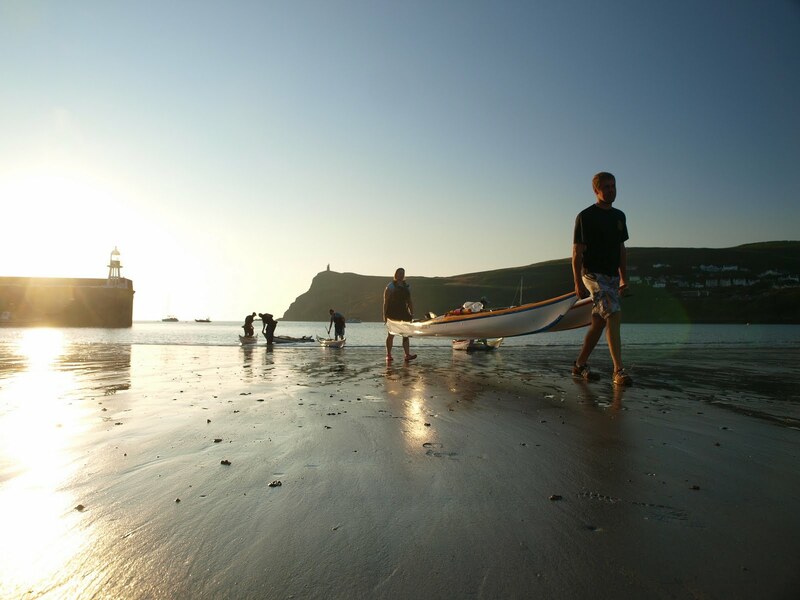 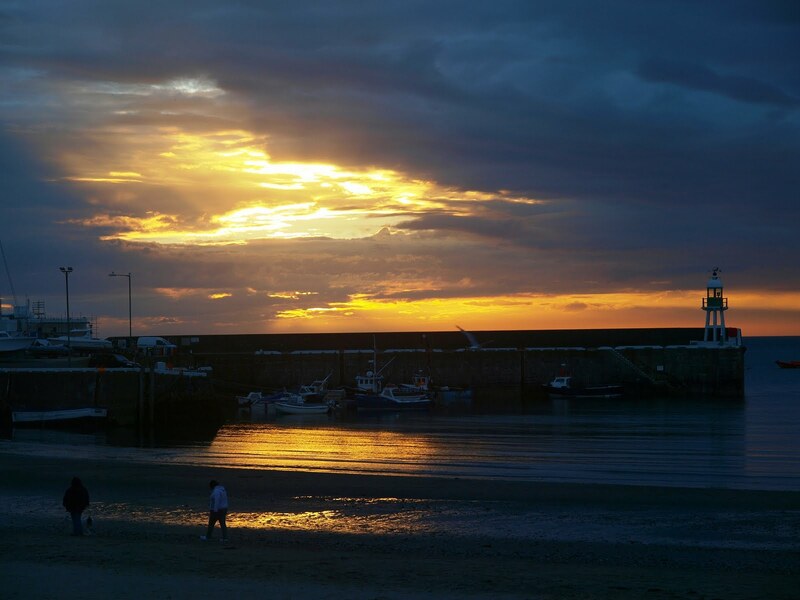 Finishing with a melodramatic sunset, Sundays sea kayaking tuition and trips from Port St Mary and Port Erin were all full, and introduced many beginners to their very first time sea kayaking! 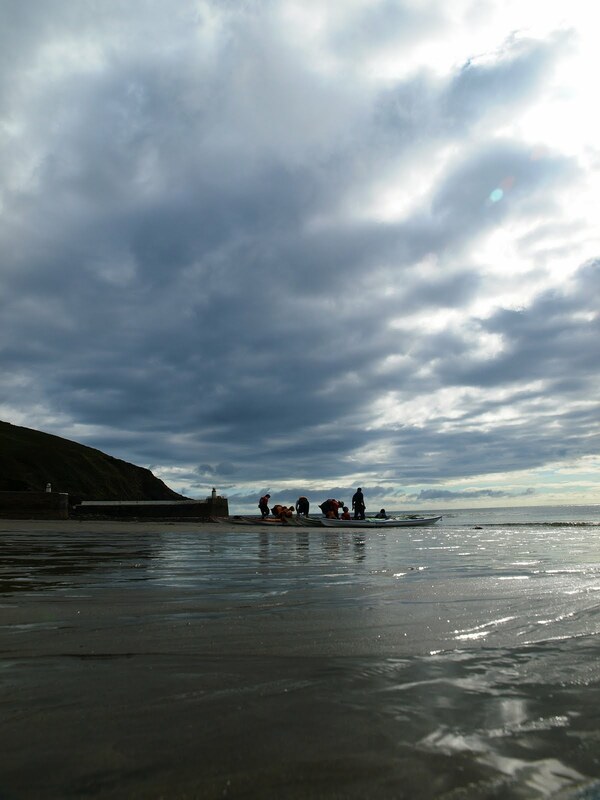 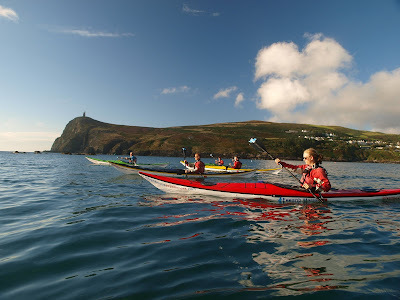 The Adventure Club is gowing nicely and as we head towards the next BCU training and assessments at the Isle of Man Sea Kayak Symposium at the end of September, many members are set to fulfil their goals and pass the next stage of their Progressive Learning Program. 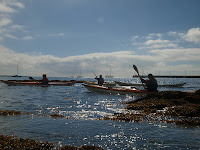 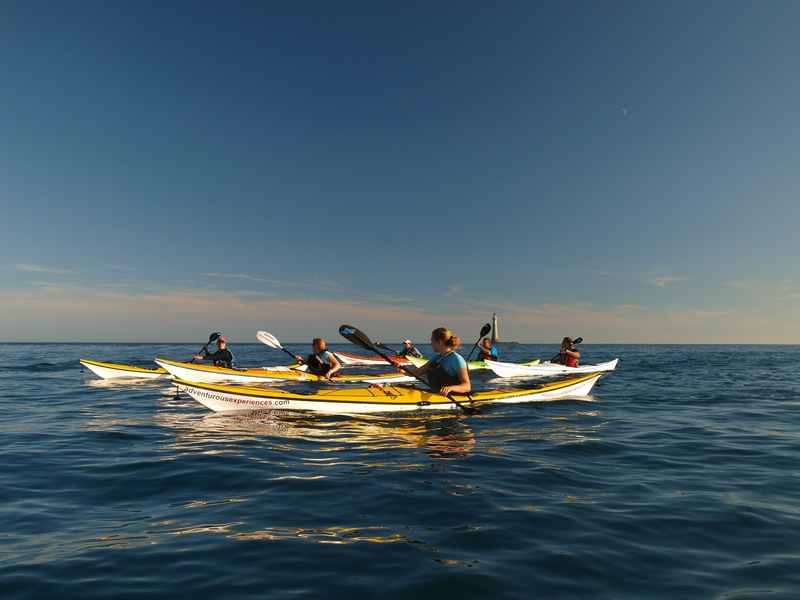 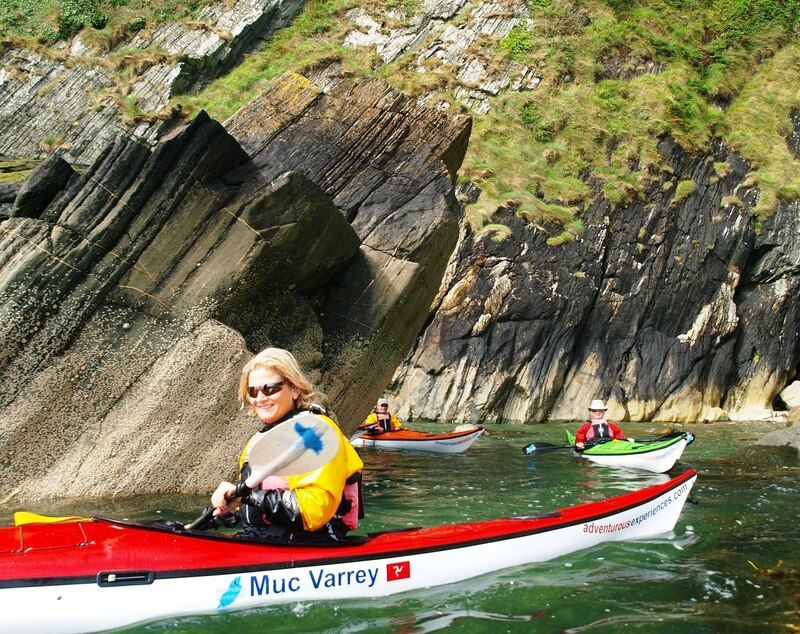 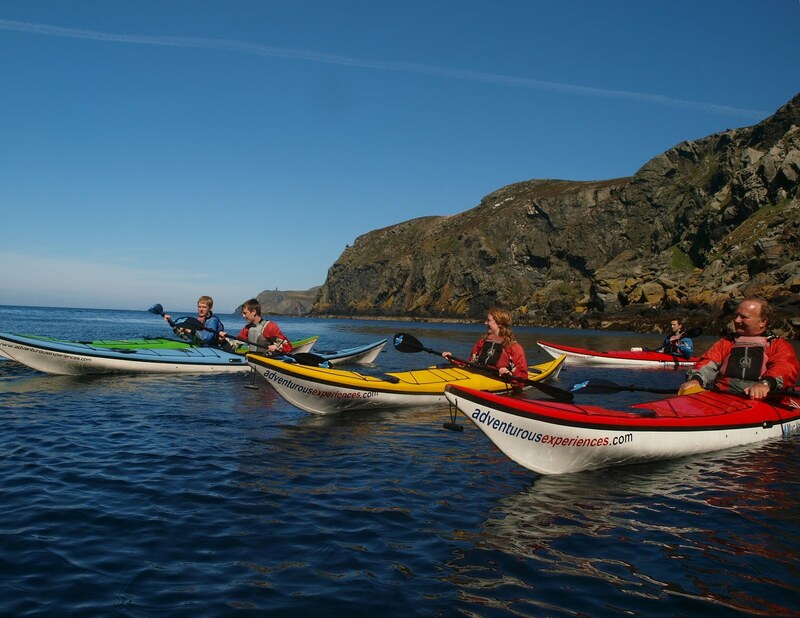 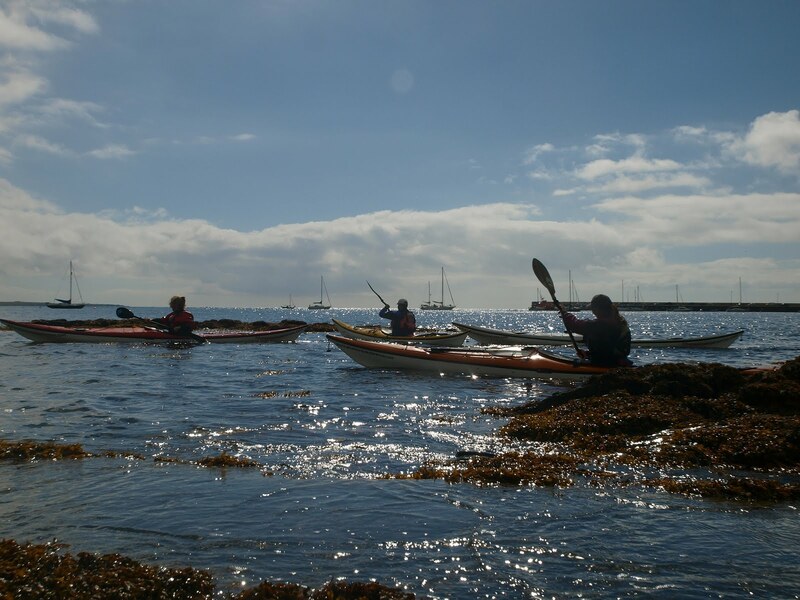 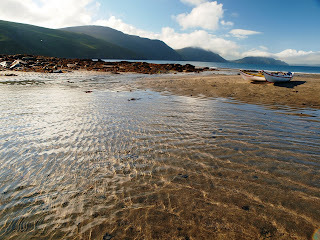 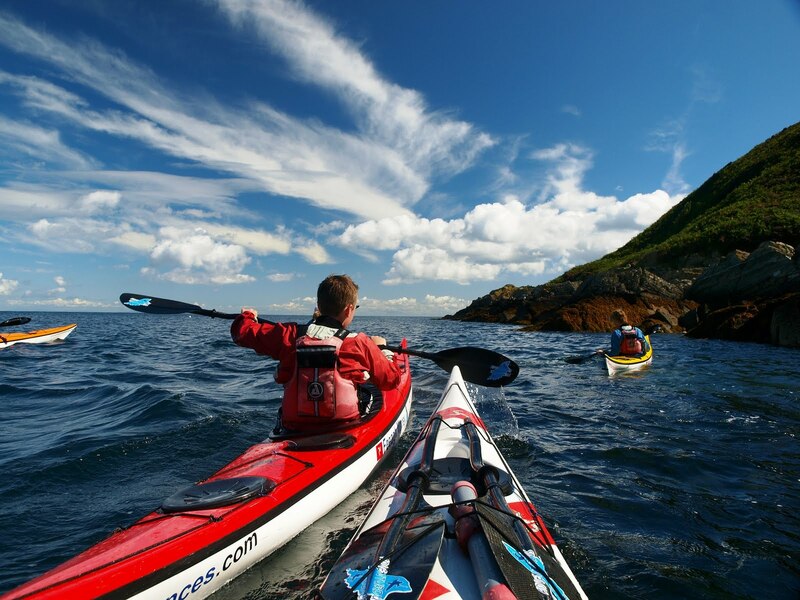 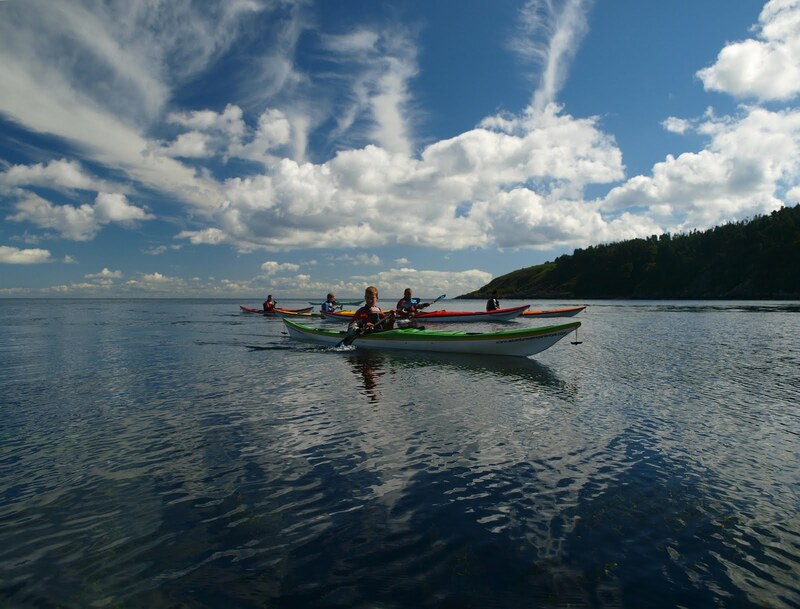 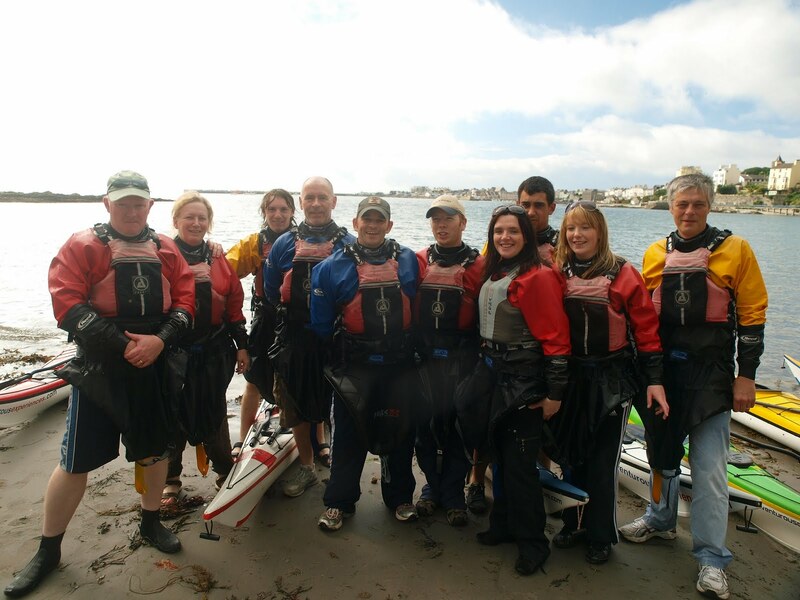 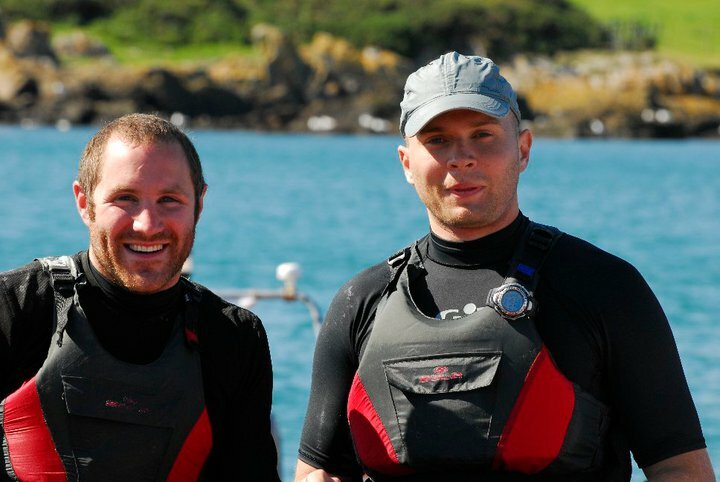 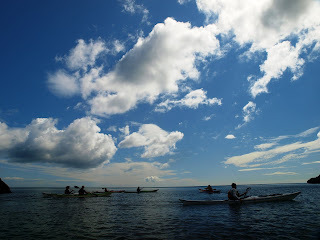 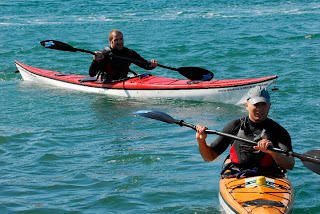 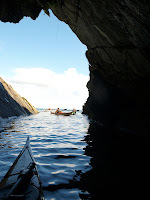 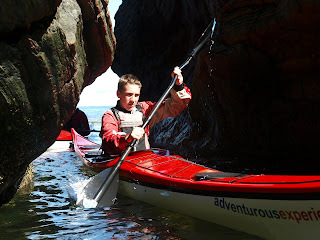 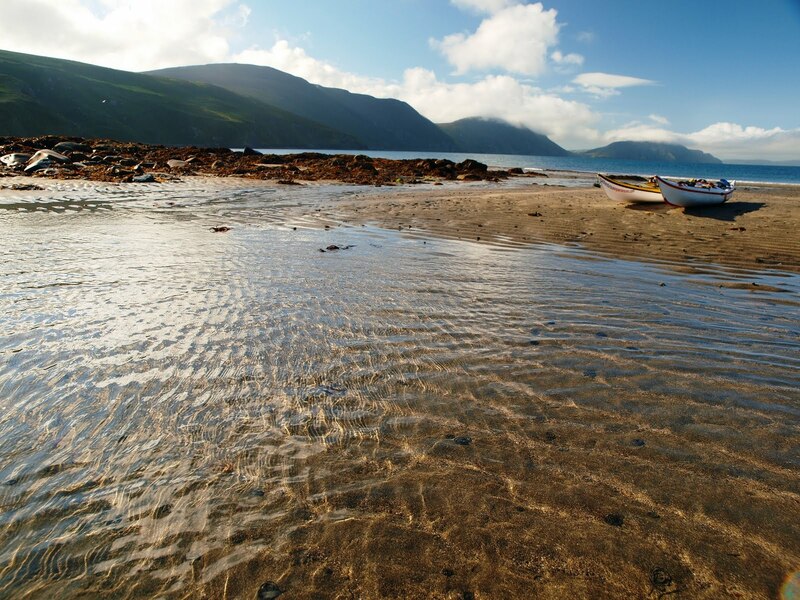 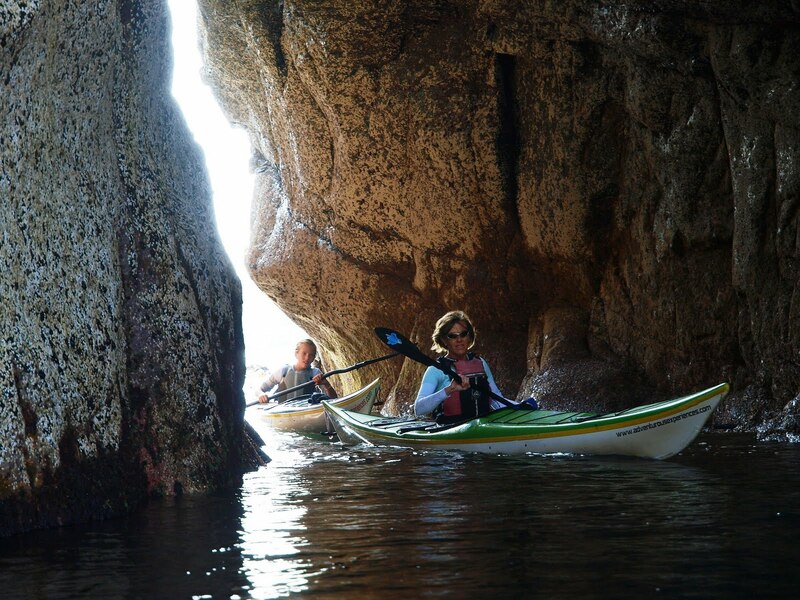 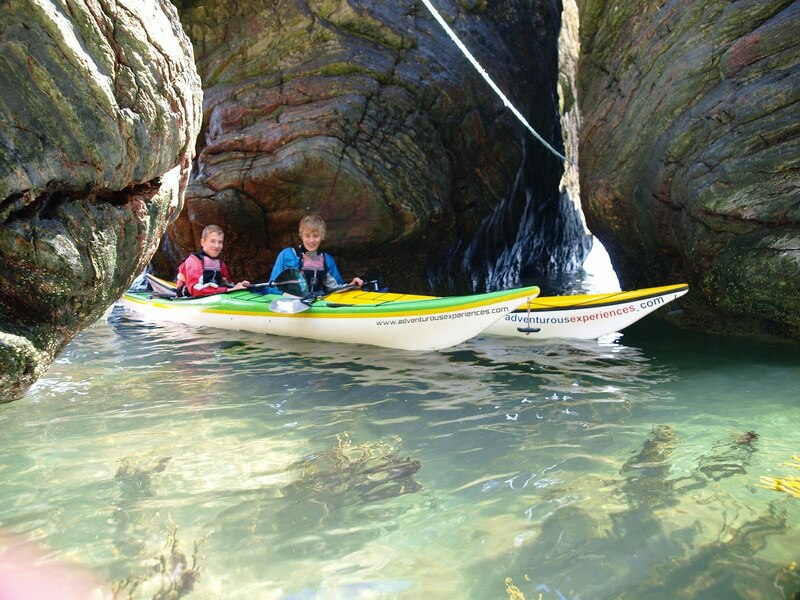 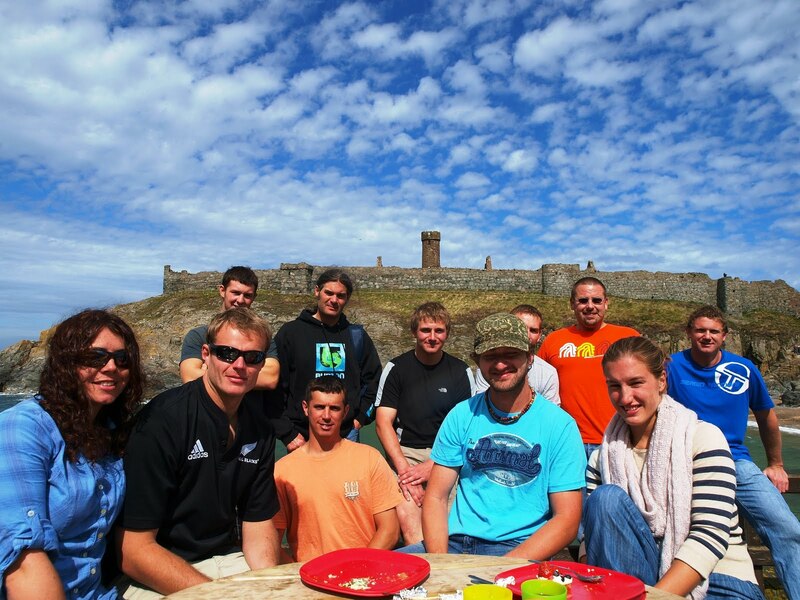 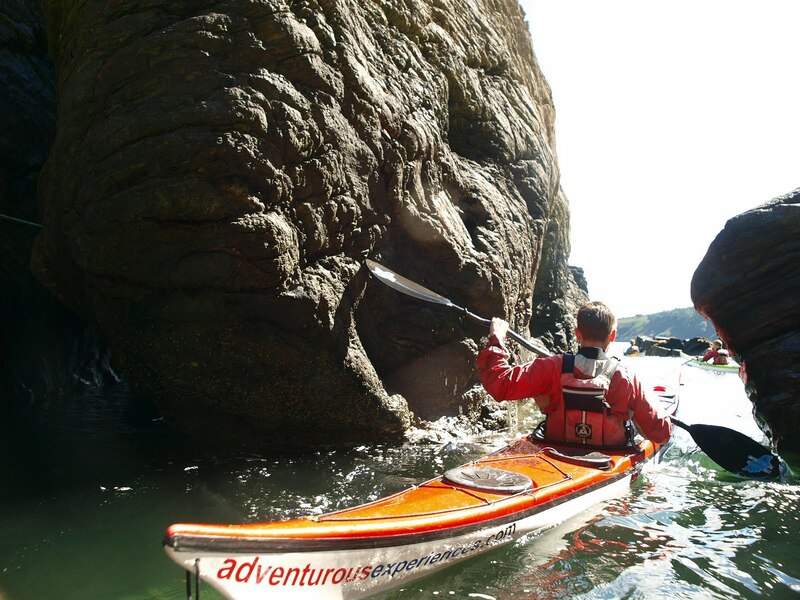 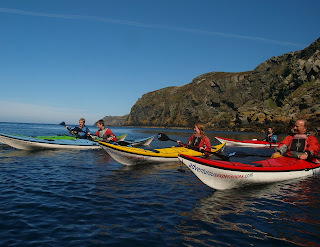 We will be joined by guest coaches from around the world for a weekend of sea kayaking. 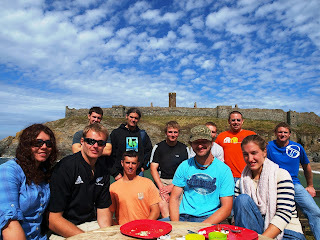 With students travelling from the UK and further afield, it will be a terrific social as well! 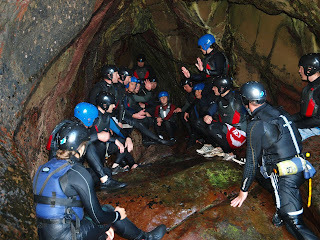 What a brilliant session, with different ability levels and confort zones, yet the whole team working together and having a great time! 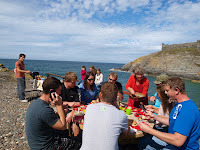 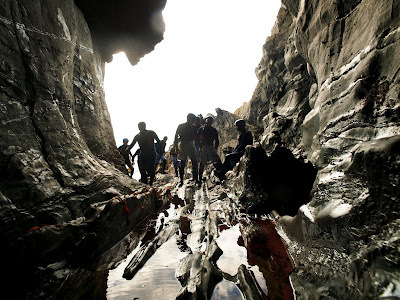 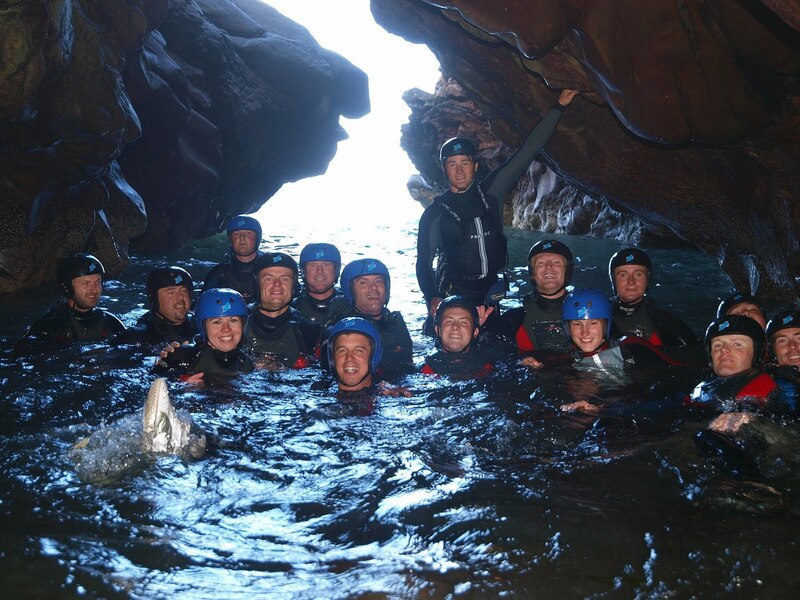 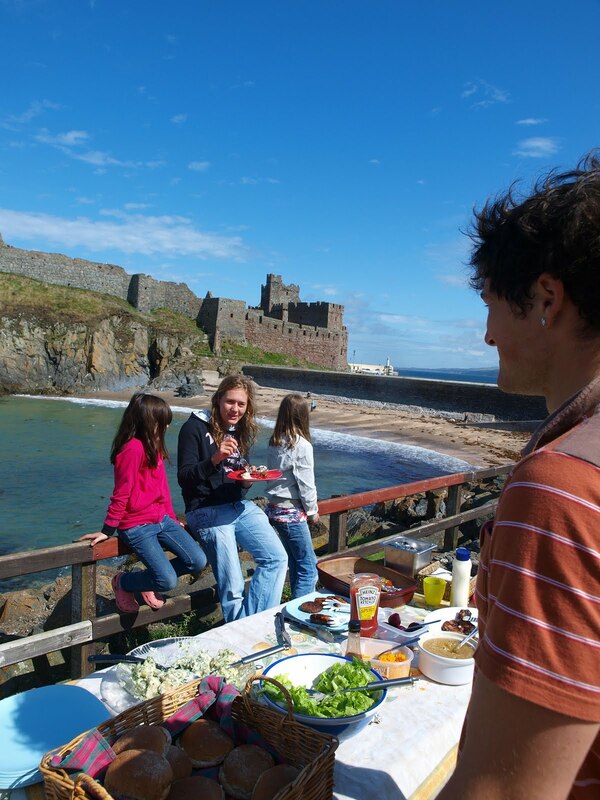 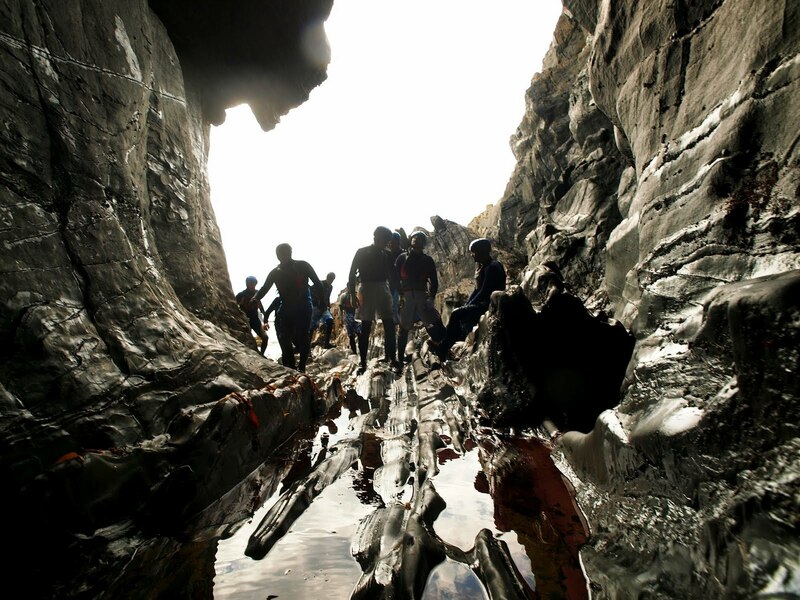 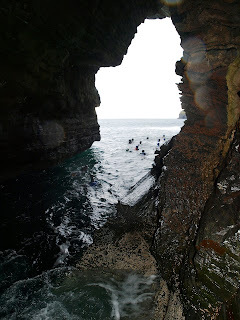 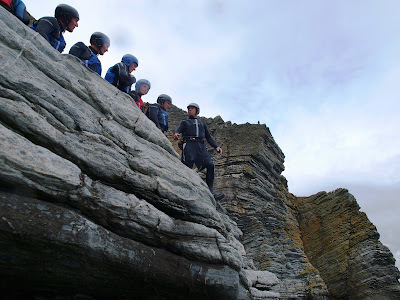 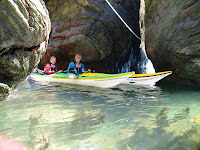 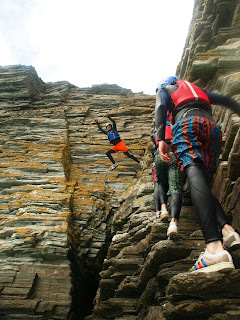 Saturday's adventures were based around exploration of the coastline, the Corporate Event in the morning following a fabulous Coasteering route involving some stunning caves and caverns, delightful low level climbing just above the waterline and finishing with a mouth watering culinary delight! 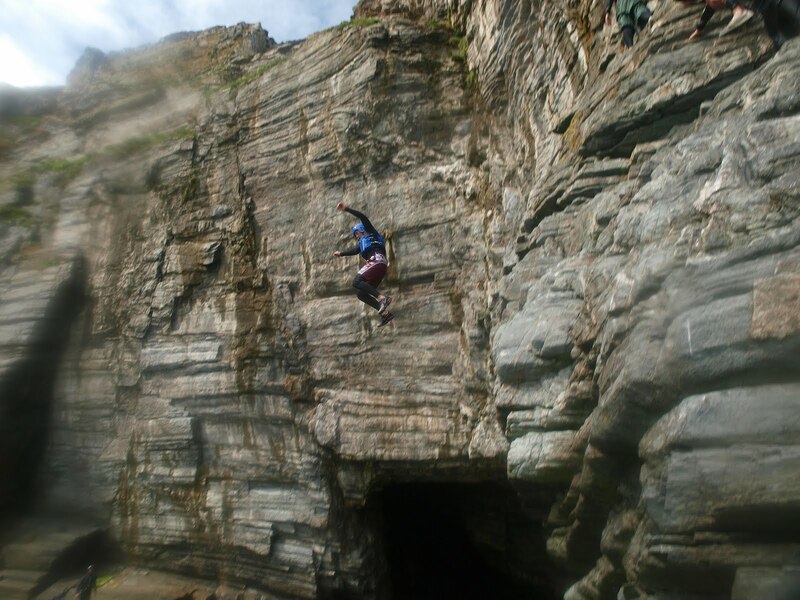 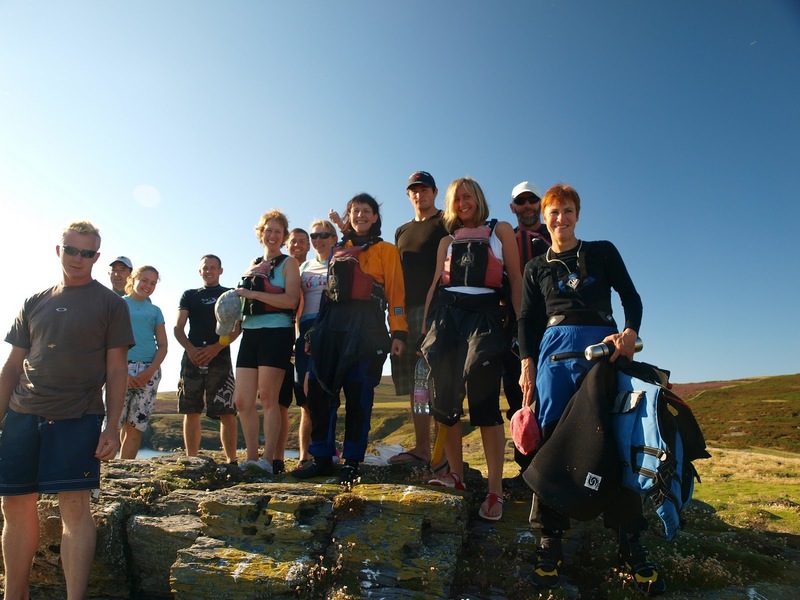 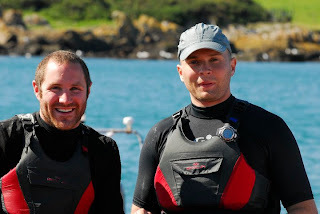 Having gained enough experience on our beginners routes, we'll be moving this team up a level for their next Coasteering experience with Adventurous Experiences. 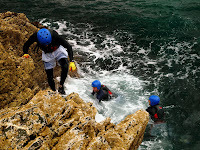 As always, retaining our committment to high quality Safe - Fun - Learning experiences, our more committing routes require a level of maturity and previous experience, shown by a fair few of our return students. 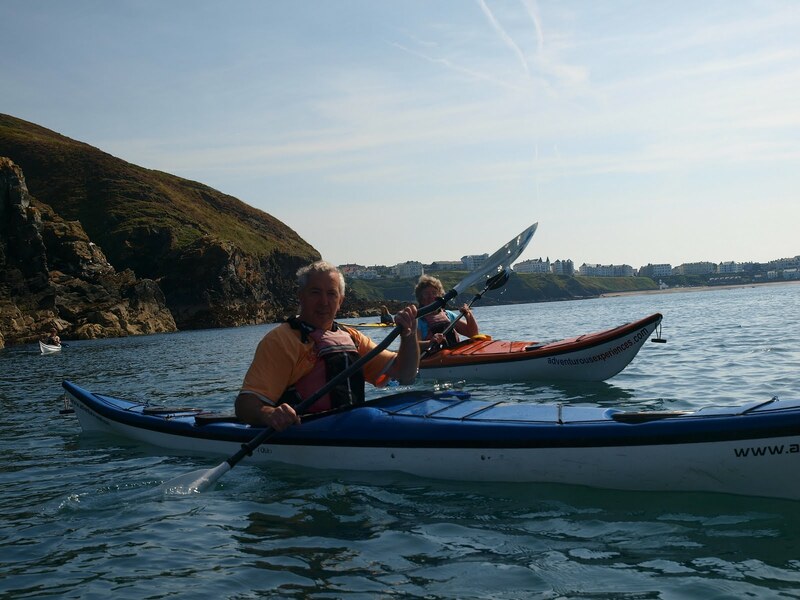 A big congratulations to Paddy & Cookie on their crossing to the Isle of Whithorn last Sunday, setting off from the Point of Ayre with Spring tides and a headwind to foot! 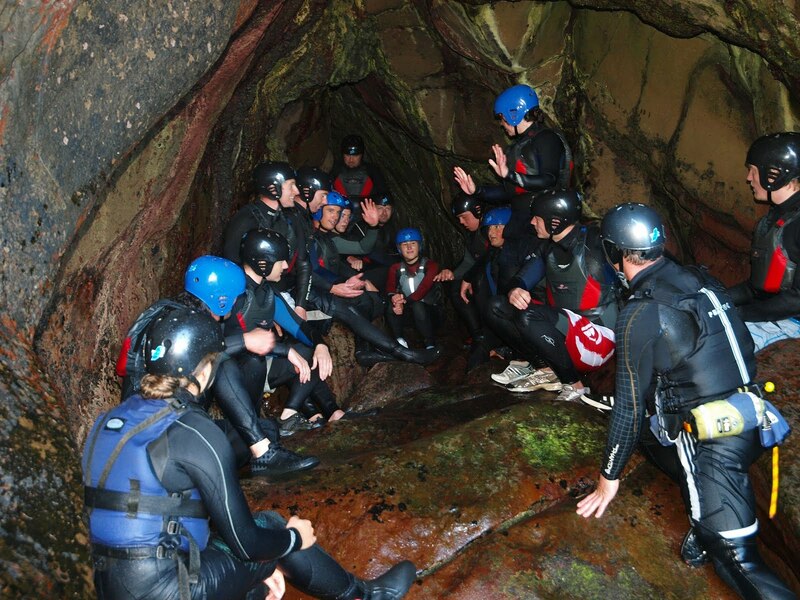 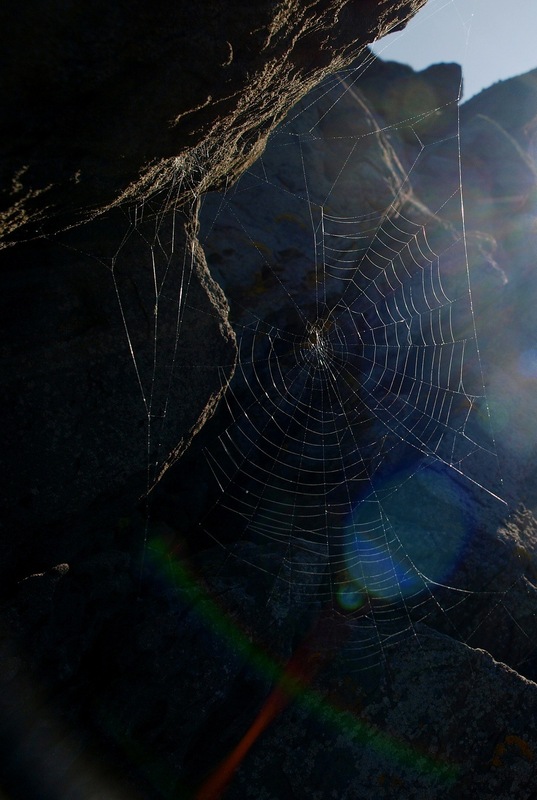 5 hours 20 minutes is a fantastic time, and Adventurous Experiences are proud to have been involved in your training. Adventurous beat our previous record for 'Try Sea Kayaking' sessions - providing short experiences for 30 students today at Port Erin Beach, raising £150 today alone. 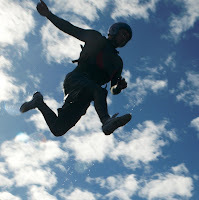 Tahnkyou very much everyone who donated. 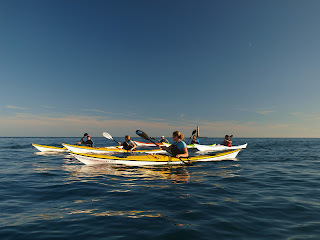 For open sessions with places, please see the website schedule, for group bookings of 4 or more persons, please contact us. 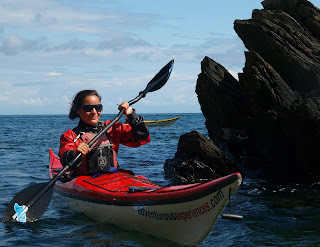 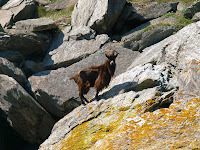 A stunning day sea kayaking on the Isle of Man East Coast, sheltered from the strong NE wind, with handfuls of wild goats (exclusive to this location) basking on the rocks by the water and Pergrine Falcons and Kestrels soaring in the skies above! 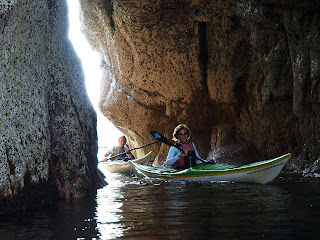 Meandering along the coastline, inlets and around huge boulders..
Hope the rest of your week was equally spectacular on the Island and hope look forward to providing adventure for you next time you visit!